Our nation recently marked the 10th anniversary of the 9/11 terrorist attacks by honoring the fallen. We also revisited one of the most recognized images from that day: a toxic dust cloud, one that included hazardous asbestos particles, that covered lower Manhattan after the attacks. On October 3, the federal government launched a program to compensate those who became seriously ill as a result of exposure to the toxic materials in that dust. The 9/11 Victim Compensation Fund (VCF) is now open for registration. Created under the James Zadroga 9/11 Health and Compensation Act of 2010 (the “Zadroga Act”), the VCF basically revives the original 9/11 compensation fund which operated from 2001 through 2003. Federal law provides $4.3 billion in total funding for both the VCF and medical treatment and monitoring under the World Trade Center Health Program. The new VCF expands on the original 9/11 fund by compensating more people who were exposed to airborne toxins at the crash sites. Debris from the fallen buildings contained several tons of hazardous substances, including an estimated 2,000 tons of asbestos. In the aftermath of the attacks and cleanup efforts, many survivors, first responders and others who were present at the crash sites developed serious illnesses. Detective James Zadroga, for whom the Zadroga Act is named, was one of those people. Zadroga reportedly had no previous history of smoking or respiratory disease. Yet when he died in 2009 at the age of 34, he had the lungs of an 80-year-old man. His story brought attention to the plights of thousands of 9/11 heroes who developed severe respiratory diseases after working at Ground Zero. As of October 3, others who were similarly affected by toxic dust after 9/11 and are interested in filing claims can register at the VCF website. Once registered, potential claimants will be notified when the VCF makes Eligibility and Compensation forms available over the next several weeks. Completing these forms will be necessary to file a claim. Which Injuries Are Eligible for Compensation? The VCF will compensate traumatic physical injuries or death related to the crashes or debris removal. The fund will also compensate personal injury or death due to certain health conditions identified by WTC Health Program. A list of eligible conditions appears on the VCF website. These conditions include some diseases which are often associated with asbestos exposure, such as interstitial lung diseases. Asbestos exposure is the only known cause of >mesothelioma, a cancer for which there is no known cure. Unfortunately, the VCF’s list of injuries does not include any form of cancer, such as mesothelioma or other asbestos cancers. However, the list is subject to change. As new scientific evidence links 9/11 crash site exposures with cancer, the VCF may later update the list of conditions to include certain forms of cancer. In addition to having the injuries described above, eligible claimants must have been present at the World Trade Center, Pentagon or Shanksville, Pennsylvania, crash sites between September 11, 2001 and May 30, 2002. The new VCF expands the definition of crash sites. Under the new VCF rules, the crash sites include the locations of buildings that were completely or partially destroyed as a result of the plane crashes. According to information provided by the VCF, the New York crash site includes a specific, well-defined area of of Manhattan and areas along the debris removal routes, including barges and the Fresh Kills Landfill. Under the expanded crash site definition, eligible claimants are not just limited to 9/11 survivors and emergency responders involved in rescue, recovery, demolition and cleanup efforts. People who volunteered, lived, worked or went to school at crash sites may also be eligible for compensation. Claims must be submitted in two parts. Part 1 is the Eligibility form which will be used to determine eligibility for compensation. Part 2 is the Compensation form which will be used to determine the amount of compensation. The VCF has not yet released the forms, but registering on the VCF website is the first step in finding out when the forms become available. Eligibility forms are expected to become available later this month. The VCF is expected to release Compensation forms next month. Claimants will also be required to submit certain documentation, including evidence that they or their deceased loved ones were present at a crash site during the eligible time period. Lists of acceptable documents are available on the VCF website. The Special Master responsible for operating the VCF announced it established a help line and will provide seminars on submitting claims. In addition, volunteer attorneys will be available to provide free assistance. Potential claimants should visit http://www.VCF.gov for updates. Anyone who is a plaintiff in a pending 9/11 lawsuit must withdraw from the lawsuit by January 2, 2012 in order to participate in the VCF. It is always a good idea to speak with an attorney first about the consequences of dropping a lawsuit or settling a legal claim. Claimants will have two years to file claims with the VCF. This means that anyone who knows or should have known about physical harm as of October 3, 2011, must file a claim with the VCF by October 3, 2013. Anyone who learns of physical harm after October 3, 2011 must file a VCF claim two years after the date they learn or reasonably should have known about physical harm resulting from the 9/11 attacks. The fund is only authorized to receive claims five years after opening. Final payments will be made in 2017. These deadlines raise a serious question about how victims who develop illnesses after the VCF closes its doors will be compensated. Asbestos-related illnesses, in particular, can take many years to develop. To date, the VCF has not issued specific guidance on dealing with future claims. If you were present at a 9/11 crash site and think you may have been exposed to asbestos or other hazardous substances, it may be wise to document your exposure now. Review the checklists published by the VCF for suggestions on how to document your presence at a 9/11 crash site. You should also consider speaking with a health care provider. 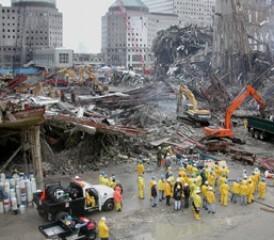 The WTC Health Program has published helpful information and resources at https://www.cdc.gov/niosh/topics/wtc. The site also provides information on enrolling in medical monitoring and treatment benefits for people who were present at the crash sites.